Spain’s bitcoin community is celebrating following confirmation that the cryptocurrency is exempt from Value Added Tax (VAT) in the country. Bitcoin had always been exempt from VAT, but a spokesperson from Spain’s tax office, Ministerio de Hacienda, told CoinDesk the decision had been clarified following a question from a bitcoin aficionado. The confirmation is based on the interpretation of EU VAT Directive 2006/112/CE, which recognises bitcoin as “financial service”. Both bitcoin startups and legal experts in Spain are praising the administration’s decision, which provides clarity in an otherwise uncertain regulatory climate. With Spanish banks BBVA and Bankinter now investing in bitcoin companies, Alberto Gómez Toribio, CEO and co-founder of Coinffeine, said the country was “one of the best places in the world” for crypto-entrepreneurs. Like others, he praised the Spanish government’s ability to understand the challenges being faced by companies in the bitcoin space. According to Fernández, startups can now create business plans with more transparency, fully aware of what kind of taxes they are expected to pay, how much profit they can generate and how to trade in bitcoin. “The government’s decision will actively boost the Spanish bitcoin market,” he added. The lawyer also noted other ramifications of the long-awaited confirmation. As Spanish citizens are subject to Spanish law, those purchasing the digital currency from companies in Poland or Estonia – the latter levies a 20% tax on those trading bitcoins as a service and the former imposed a 23% VAT on bitcoin mining profits – would still be exempt from paying VAT. “Those who have previously paid VAT for bitcoin purchases can now refer to Hacienda (the Tax Office) to request a refund,” Fernández added. The application of VAT to bitcoin services has proved somewhat of a grey area in the European Union. Notably, the tax office’s definition of bitcoin as a “financial service, linked to payment methods which enable the transfer of money” and the assumption that bitcoin transfers are considered to be “special risk” activities, means that all Spanish companies operating with the digital currency will have to comply with anti-money laundering (AML) rules. Hat tip: Law and Bitcoin. 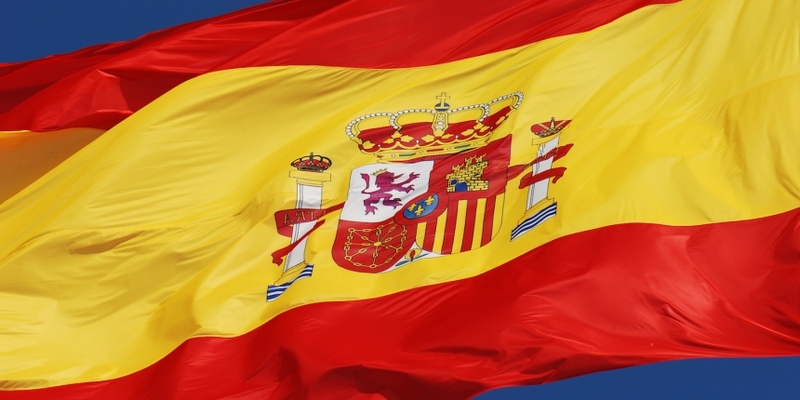 Spanish flag image via Shutterstock.